HB-1600D a revolutionary new design. Using tubes and Jensen adudio transformers to drive our high quality class D power Amplifiers we get the best of both worlds. Compact light weight with massive power. Class D amplification with the warmth that can only come from classic tube /Transformer Design. Using only the highest quality components including Jensen audio transformers as well as WIMMA Audio caps metal film resistors and 200 volt DC supply to our Electro Harmonix tubes. 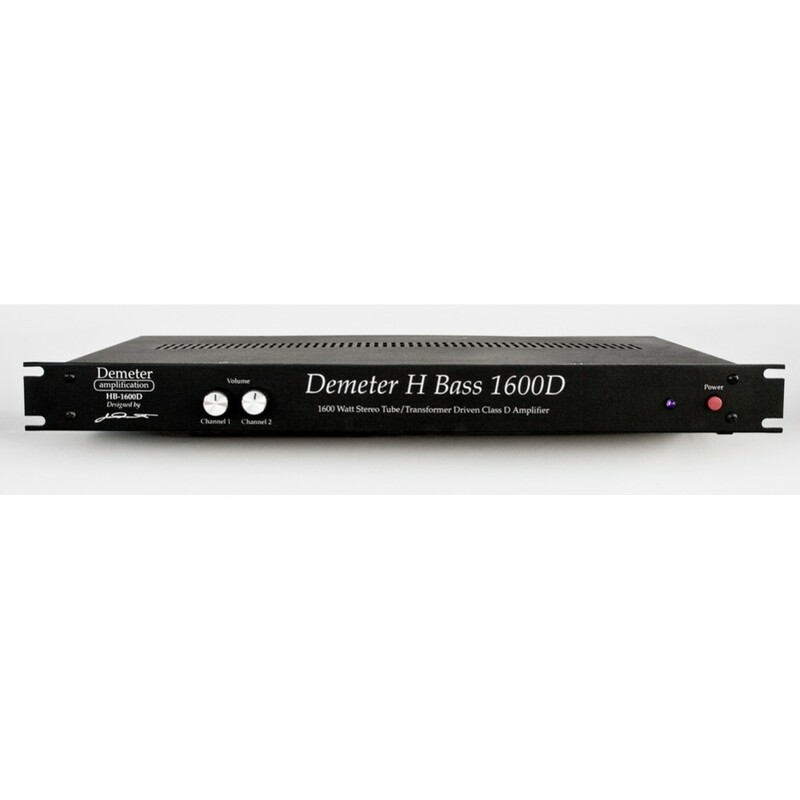 This unit puts out 500 watts per channel into 8 ohms and over 800 watts per channel into 4 ohms 1600 watts in stereo. This unit has 3 pin and TRS inputs jaxs and 1/4" and Speakon connectors the for Speaker outputs. All this fits into a single space rack and weighs 12 lb.